World’s Scariest People (Episode 3): The BTK Strangler | We Seek the Truth! 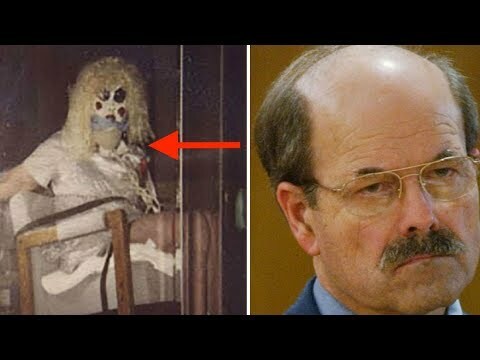 This episode is about Dennis Rader aka The BTK Strangler who was a troubled child & began terrorizing women. Let’s take a look at some acts of Dennis Rader. Number 7 Who Was the BTK Strangler? He gave himself many nicknames in communications with the media and law enforcement but the one that stuck was BTK. He was eventually identified as Dennis Rader and brought to justice years after his spree had ended. Rader’s thirst for recognition and constant defiance of the authorities is what ultimately lead to this. Born March 9, 1946, Dennis Rader was a troubled child. According to his letters, he looked at ‘Girly Books’ as a boy. They were apparently the root of the twisted fantasies which would later fuel his intent. It’s worth mentioning that, among his final letters to the police, Rader included disturbing drawings of bound women. In his teens he would peep through windows and steal women’s lingerie. He also tortured animals and his vile actions included hanging a cat and a dog. At 21, he joined the Air Force and was stationed at various bases in the southern US as well as bases on Okinawa and outside Tokyo. According to Rader, he became a marksman during his service and learned new skills. After he was discharged, he married Paula Dietz in 1971 and subsequently had two children with her. Even though they spanned nearly 30 years, Rader managed to keep his activity completely hidden from his family. When he first saw the Puerto Rican Otero family in January 1974, he became transfixed with them. His main focus was 33-year-old Julie and her 11-year-old daughter Josephine. He devised a plan to attack their Sedgwick County home on the morning of January 15, believing that only Julie, Josephine and the family’s youngest, Joseph Jr. would be home at the time. In what would become a trademark BTK move, he cut the phone lines. Armed with a knife and .22 caliber handgun, Rader picked his time and entered the house when the backdoor was left open for the dog. He didn’t expect to find the family’s patriarch, 38-year-old Joseph, in the house as well. Rader selected and studied these people. At one point he worked for the alarm company ADT and, ironically, installed security systems in the houses of people worried about him. He learned their movements and schedules and waited for the opportune moment to strike. He also took souvenirs from most of them. According to his court testimony, his drive was part of his fantasy. He also revelled in knowing that he was responsible for the Kansas metro area. In early 1978, he sent a letter to the KAKE TV station in Wichita, taking responsibility for the act on the Otero family and three other women. At the time, Bright was employed by Coleman, the same company that Rader worked for. When Rader entered her house, her brother Kevin was inside as well. Williams was out visiting friends as Rader waited for hours in her house. He eventually grew impatient and left but in his confessions later stated he felt ‘absolutely livid’ that Williams had evaded him. In March 1977, Rader claimed his sixth, a woman named Shirley Vian. After Dolores E. Davis, in January 1991, Rader went silent for about 13 years.That’s when Rader responded. He sent photographs and a driver’s license from his ninth, Vicki Wegerle, to a reporter. DNA collected from under her fingernails, provided the police with further evidence. For almost a year, Rader would continue to send packages to local media or simply leave them around Wichita. These often included cereal boxes, perhaps as a play on the words. They contained photographs, souvenirs, drawings, written accounts and dolls made to mimic the preferred method.In one of his letters, Rader asked if they’d be able to trace him if he put his writings on a floppy disk. In a newspaper, they answered him in a predetermined code that it would be safe for him to do so. When they received the disk, the metadata from a deleted Word document was still on it, unbeknownst to Rader. It contained Christ Lutheran Church, of which Rader was president, and showed that the document had been last modified by ‘Dennis’. The police now had circumstantial evidence but needed more. They took a DNA sample from a medical facility where Rader’s daughter had had a pap smear as a university student. That sample proved to be a match with the one taken from Wegerle’s fingernails.